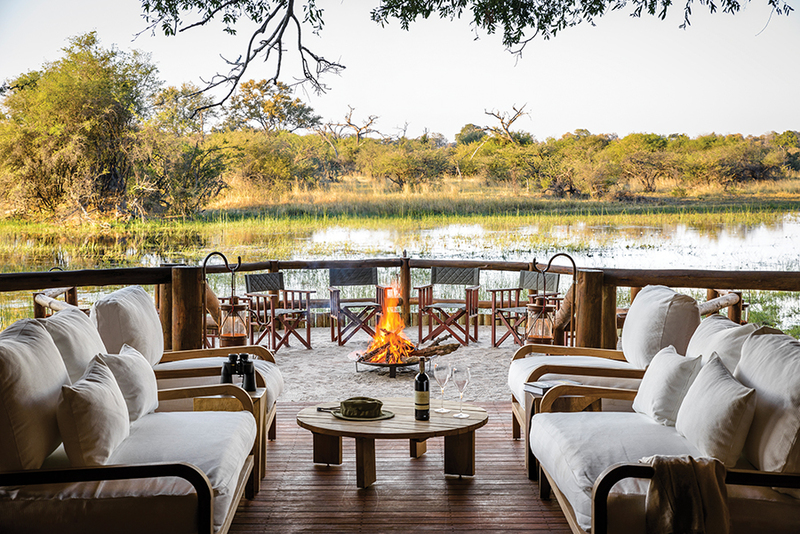 The former royal hunting reserve of Chief Moremi in the heart of the Okavango Delta, wildlife and wilderness are as abundant as action and adrenaline coupled with refinement and relaxation at this remarkable luxury camp. 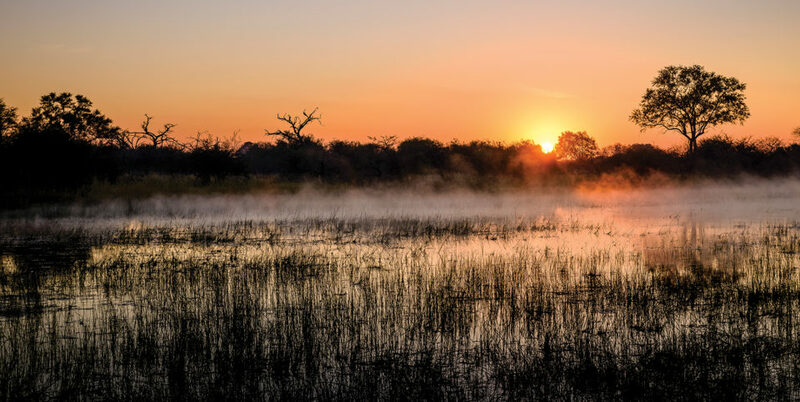 A World Heritage Site at the southern edge of the Great Rift Valley, the Okavango Delta is a spectacular patchwork of clear streams, sparkling lagoons, dramatic floodplains, and thriving forests. Historically, this expanse was the hunting grounds of the great Batawana Chiefs – now it is a unique reserve which promises the most incredible safari adventures for discerning travelers. 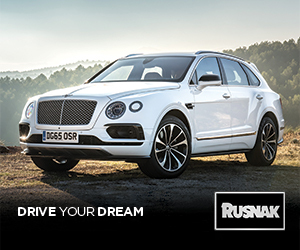 Thrilling game drives led by highly qualified professionals in a new fleet of customized game drive vehicles are the highlight of this luxury safari camp. The UNESCO-protected destination is celebrated for its wealth of animals and birds and you’re invited to spy elephant, hippo, lion, giraffe, rhino, cheetah, leopard, wildebeest, impala and rare African painted dogs, the most endangered predator in Southern Africa – all in one day, and all to yourself. Guests report that they feel as though they’re the first to explore this magical terrain, which gives you the rare sense that you’re the only ones there on safari. The narrow channels of the Delta are flooded for much of the year, and can be explored at a gentle pace from a mokoro. Glide through lily ponds in these dugout canoes on poled excursions which get you up close and personal with all kinds of wildlife. Even when sat with a drink in hand in the chic decked lounge, dining area or fire pit, you’ll never miss a moment of nature’s theatre as you overlook the popular floodplains. Sanctuary Chief’s Camp’s sophisticated accommodations with natural hues and materials complement the charismatic scenery, and regularly earn rankings among the world’s top safari destinations from arbiters such as Condé Nast Traveler and Travel & Leisure. Spacious and breezy at 1,500-square feet, the 10 stylish bush pavilions are some of the region’s largest places to spend the night. Modern enhancements, such as air-conditioning and traditional fans, are among the cut-above amenities. The bathrooms have floor-to-ceiling windows and folding glass doors leading to outdoor showers and generous tubs perfect for long, indulgent soaks. 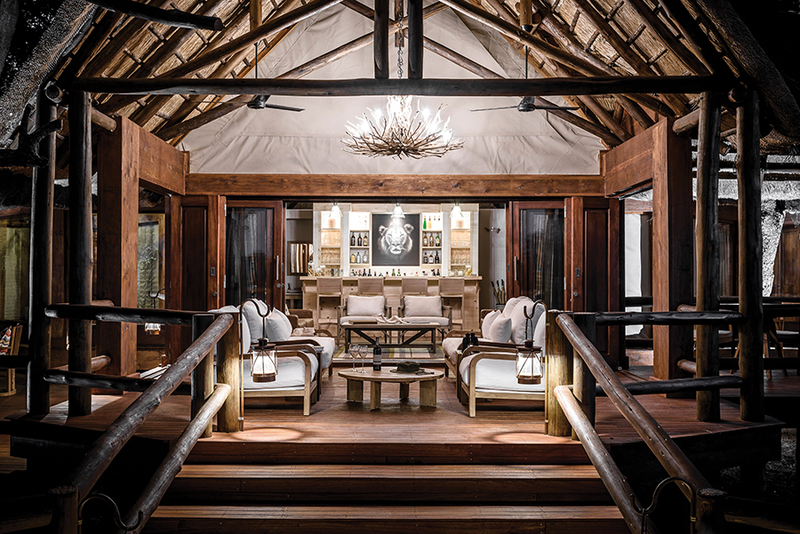 Guests desiring the ultimate luxury safari experience can opt to spend a night in the Geoffrey Kent Luxury Suite – a 6,673 square foot suite which sleeps up to six, where each guest is treated like royalty. 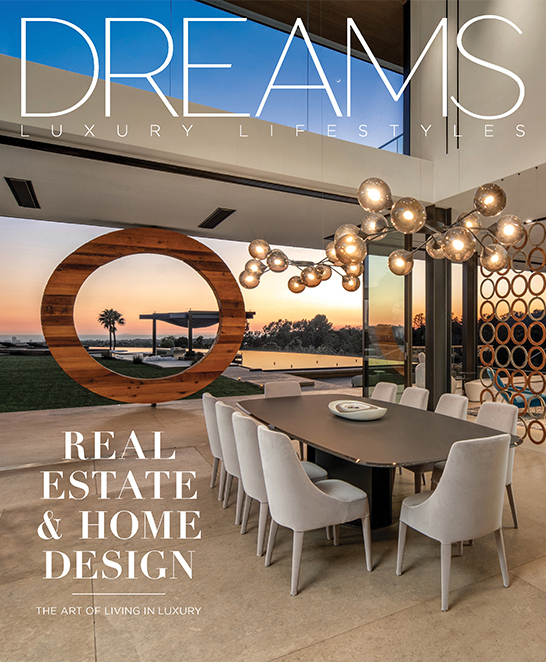 Named after the explorer Geoffrey Kent, and inspired by this award-winning photographer and polo-playing philanthropist’s intrepid travels, you can expect characterful interiors as well as a kitchen, indoor lounge, private boma (meaning a ‘safe enclosure’) and secluded deck areas. Included in the perks of this luxurious suite is superb service, which includes your own vehicle and dedicated guide, as well as a personal chef, waiter and a housekeeper. In the mood to dine alone together? Relax on your covered deck and look out for elephants, giraffes, buffalo and other wildlife as you enjoy the Camp’s excellent cuisine and wines. And after a long day on the savanna, indulge in spa and wellness treatments such as specialist Africology, expert facials, and African heated-stone massage and body rituals which include a tropical immunity-boosting body wrap. As well as ensuring a distinct sense of Botswanan place, every encounter and activity feels authentic, thanks to the camp having been reimagined in keeping with local traditions and cultures. Personal service, an extraordinary setting, exceptional viewing and enthusiastic expert guides are the hallmarks of a Sanctuary Retreats experience, and at Sanctuary Chief’s Camp you’re promised a unique attention to detail that ensures the ultimate luxury safari experience. 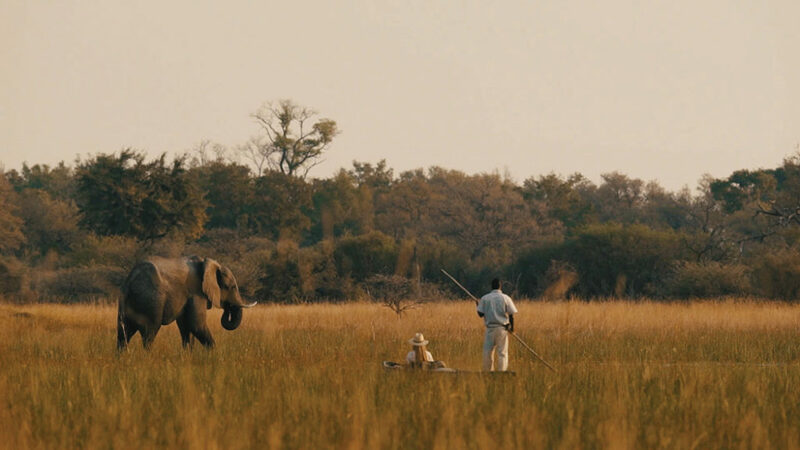 Sanctuary Chief’s Camp is located in Botswana, Africa. To learn more, visit www.sanctuaryretreats.com/botswana-camps-chiefs. Photos courtesy of Sanctuary Retreats.